Since we have a superb professional bassoonist in our congregation, I was happy to find a classical piece for that instrument to use for festive services. Quality of the publication is excellent. been modified to make it easier for baritones to play, (the original part is still there, but only in small print at the bottom of the page). 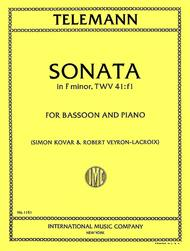 Overall it is a great piece that shows off the tone and abilities of the bassoon very well. 42 of 71 people found this review helpful. interested with technique then it is with actual expression. The dynamic markings are very basic and some seem to be written in without actually thinking about what is going on in the piece. Most I agree with but some I do not. Also, there are no ornaments, in other versions the slow movements are ornamented. Very good edition. Piano part is fairly appropriate, but could be criticized (streams of parallel fourths, etc.). Janet M. Helm, M.A., M.B.A. 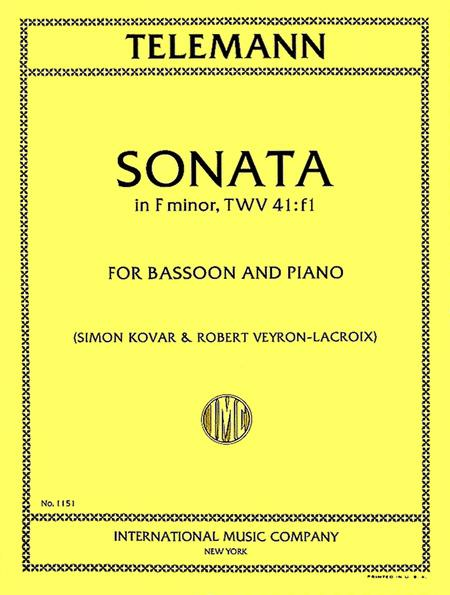 This melodic piece consists of four parts that showcase the Bassoon soloist's skills accompanied by Piano. It is a standard used in concerts and competitions. There is room for dramatic emphasis and interpretation for the more advanced level player.